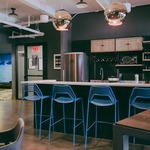 A spiral staircase connects all three floors of this New York office space, ensuring that members can always stay connected. 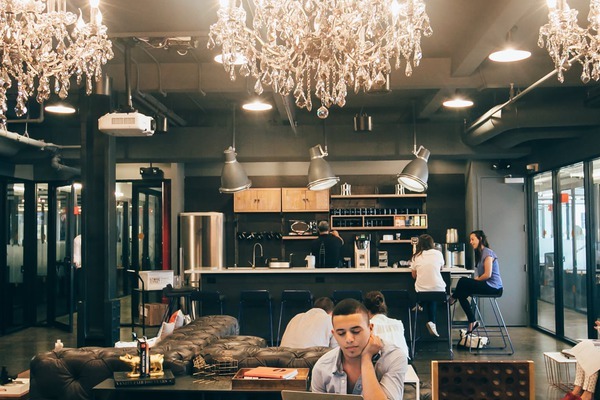 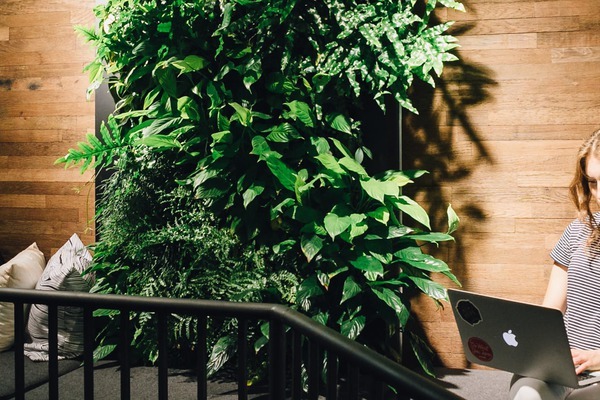 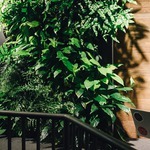 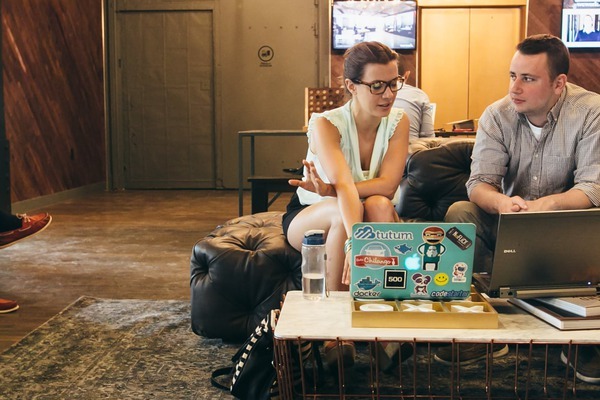 This coworking space has personality to spare, from the plant wall that connects the common areas to the chandeliers that add sparkle to the top floor. 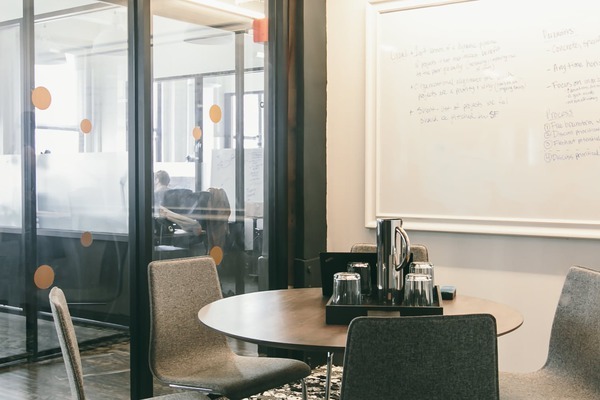 Head to the arcade to challenge a colleague to a friendly game of Guitar Hero, catch up in one of the many lounge areas, or take a meeting in one of the well-outfitted conference rooms. 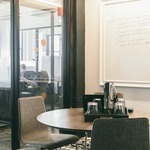 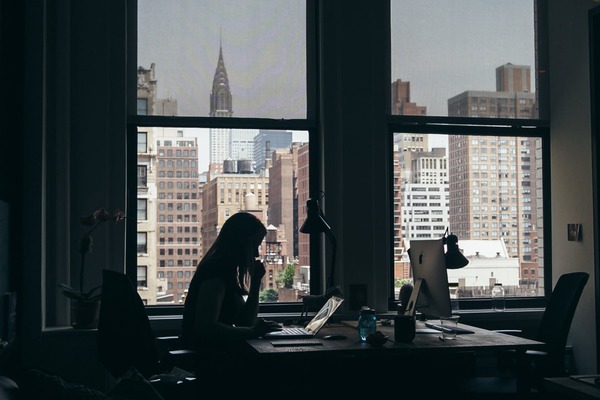 In a handsome commercial building, WeWork Park South is close to the 6, N, R, and Q subway lines and is walking distance to Penn Station, making it a good choice for commuters. 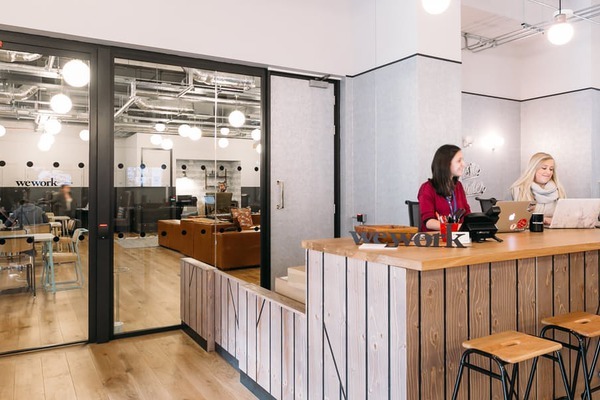 Many of the members here head for lunch at the Shake Shack in nearby Madison Square Park or splurge for a real Italian meal at Eataly. 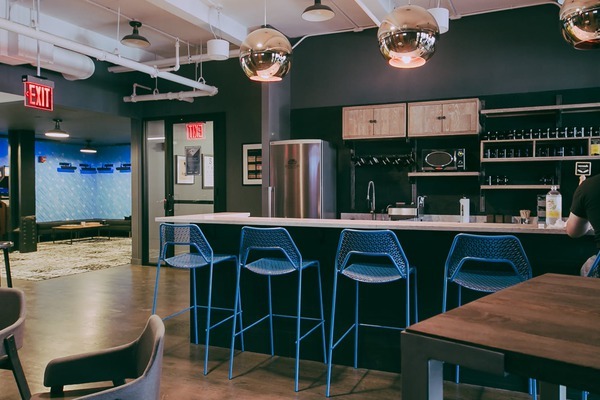 For a sophisticated atmosphere, cool common areas, and hard-to-beat location, try out this New York office space.